At Mortice and Green, consumers can access some of the most experienced sash window installers, designers and repair specialists in all the world. These professionals have an extensive amount of experience in dealing with this particular window style. In fact, they approach their work as blend of both innovative manufacturing and art. They use top quality materials, proven work practices, and proudly maintain the motto “We repair any sash”. Another benefit of working with this company is upfront and incredibly transparent pricing. There is absolutely no guesswork involved in the estimation process and zero outsourcing. All of the work is performed by these top-rated professionals in-house. This ensures an optimal amount of quality control, fair, feasible rates and results that everyone can feel good about. With no hidden fees and high-quality materials offered at incredibly reasonable prices, it is easy to see why this company has become such as standout provider in its industry. 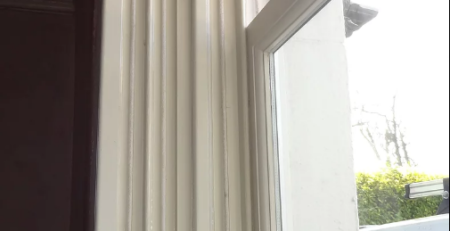 When Mortice and Green states “We repair any sash”, these professionals are committed to tackling projects that other companies are unwilling to take on. They recognize the extensive history of these windows as well as the intended longevity of these products. They know that with the right replacement strategies, materials and techniques, any unit can be restored back to its former condition. This can be critical for homeowners in historic districts with property features that they would like to maintain, rather than simply replace. If you are committed to keeping as many original property features as you can, your sash windows is one of the first places to get started. This company will retain as much of the existing materials as possible, without compromising the durability and integrity of the final product. Mortice and Green also maintains its very own workshop. This is where they construct new sash windows for installation and where they take old, outdated units for restoration and repairs when needed. In even instances of severe wear and damage, this company is capable of finding an appropriate method for restoring windows back to their former state. Best of all, they never take on more work than they can handle in-house and while still providing the superior level of service that they are currently known for. This business will not take on a new job until it is absolutely certain that it can give the project the type of care and undivided attention that it needs and deserves. Located in London, these professionals are in the prime position for offering both the best new windows and the best repair solutions. Proud to offer only high-quality hardwood windows, Mortice and Green also sources the best raw materials for all its projects. This is why the results it providers are guaranteed to both provide optimal value and last. This business offers North London coverage, coverage in South London, North West London and South West London. Offering sash window refurbishment, renovation, repairs and replacement since 1994, there is not job that has proven too large or too small for this entity. These window styles are incredibly popular in conservation areas and historic buildings. In fact, some of the oldest remaining sash windows in the world exist in London in the Ham House. These date all the way back to the year 1670 and serve as a testament to what diligent maintenance and refurbishment can do when it comes to preserving these structures and greatly extending their overall lifetime. Sash windows have certainly evolved throughout the years and thus, although they are the most traditional window style out there, and one of the most popular as well, they have undergone a wealth of changes throughout the years. Surprisingly, these units were initially designed to only travel horizontally. Moreover, when glass quality was too low to support larger pane styles, some sashes had as many as ten small-sized panes within them. Now, however, it is possible to install vertically and horizontally moving stashes. During the Edwardian era, it was even possible to have sashes that traveled from ceiling to floor. Some of the units also features stained glass. In honor of the rich and illustrious history of these designs, Mortice and Green maintains a firm commitment to preserving as many of the styles that have peppered the evolutionary chart throughout the years as possible. Each innovation is an important part of history and this businesses believes that it should be regarded, preserved and kept as such. With this in mind, if you currently have sash windows in your home that are nearing the end of their life span, you should definitely get in touch with this company. They can show you why certain sashes have been able to remain in place for many centuries. 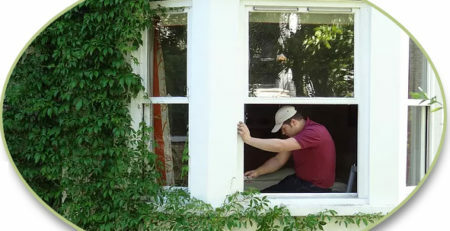 With the right preservation and restoration techniques, you can keep your beloved windows right where they are. The refurbishment strategies that Mortice and Green employs will not only restore your windows back to their former aesthetic beauty and structural integrity, but they will also greatly increase the overall marketability and value of your property. Working with this company is also a great way to keep your carbon footprint at an all time low. Recent studies have shown that all wooden windows have a far lesser impact on the environment than do some of the latest PVC options. It actually takes 8 times the amount of energy to produce a PVC window that it does to install a new sash or repair an old one. 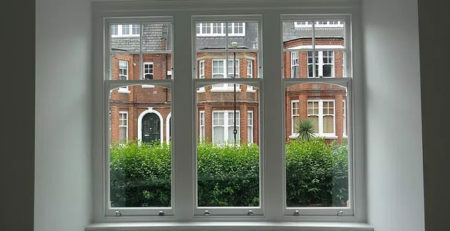 Moreover, properly built and properly installed sash windows can additionally have a significant and very positive impact on overall home energy use. These products can limit your energy bills and make it infinitely easier to maintain ambient temperatures and doors. These are just a few of the many reasons to contact Mortice and Green to have the lifetime of your existing sash windows prolonged.